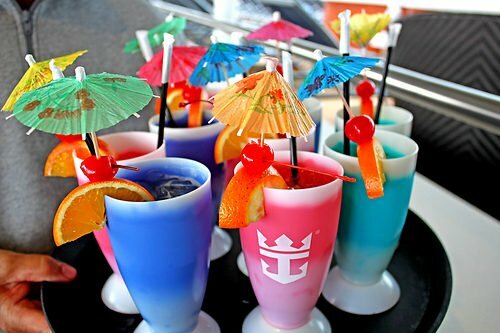 Royal Caribbean rolled out new drink package options, aimed at simplifying what options are available for guests. Deluxe Beverage Package ($55 a day excluding gratuity): Unlimited cocktails, beer, wine, non-alcoholic beverages, premium coffee, tea, and bottled water – plus a 40% discount on bottles of wine under $100 and 20% off bottles above $100. This package includes drinks with a value of up to $12. For guests that would like to enjoy a beverage over that threshold, a $12 credit will be applied towards the beverage of choice and guests will be required to pay the balance. Refreshment Package ($26 a day excluding gratuity): Enjoy our entire selection of premium coffees and teas, bottled water, fresh-squeezed juices, nonalcoholic cocktails, plus fountain soda and free Coca-Cola® souvenir cup. Classic Soda Package ($8.50 a day excluding gratuity): Quench your thirst for just a few dollars a day with unlimited fountain soda refills and receive a free Coca-Cola® souvenir cup. 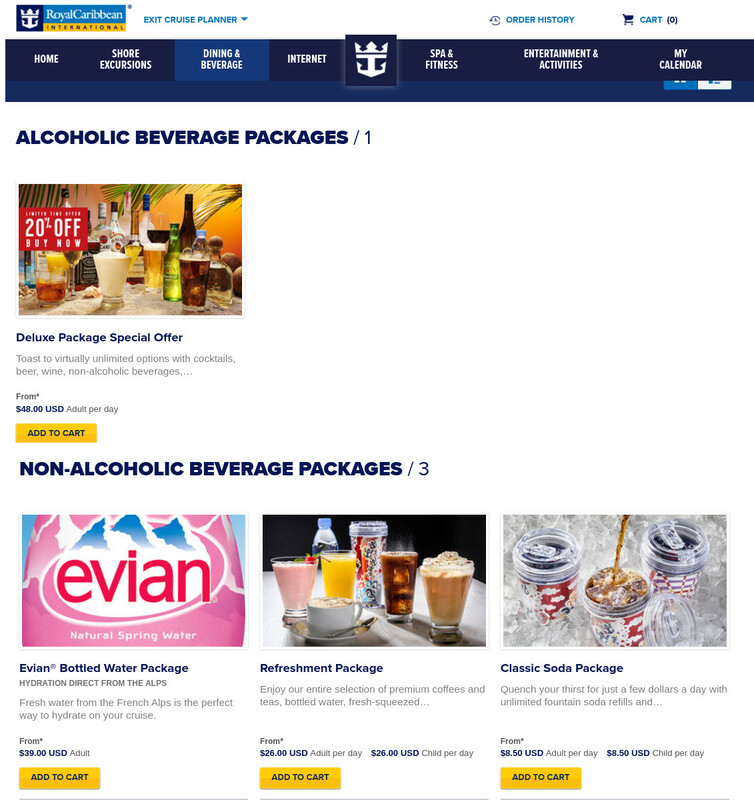 Royal Caribbean has consolidated and redesigned its beverage package offerings in an effort to make things easier for guests to understand. These new drink package offerings are available to book via the Cruise Planner tool for all future cruises on September 6, 2016. Select package will be honored as is until depleted. Premium packages will be upgraded to a Deluxe package at no additional charge. Ultimate Packages will convert to the deluxe package. Replenish packages will convert to the new refreshment package.